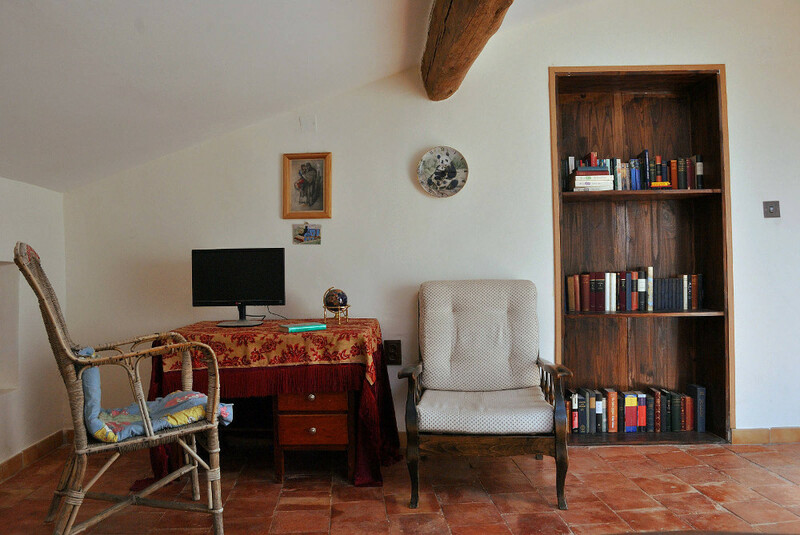 The Writer’s Retreat is a rustic double room on the top floor. The room has its own shower room, walk-in closet and small library. Rustic furnishings, a terracotta floor, wooden beams, and bright artworks make this a cheery, cosy getaway. 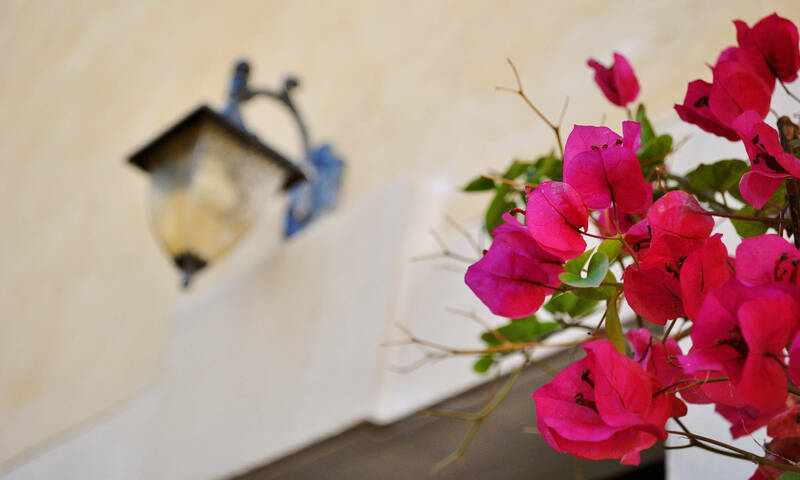 Experience the authentic way of life in SW France while enjoying the views of the Corbieres. Two Velux skylights bathe the spacious double bedroom in natural light during the day. They also give crystal clear views of the moon and stars at night. A wide selection of books, both contemporary and classic, fill the shelves. Sit at the desk or in a comfy chair and get on with your holiday reading! If The Writer’s Retreat is also rented with The Rake’s Nest, the villa’s upper floor can function as a semi-independent Loft Apartment with kitchenette and lounge area.